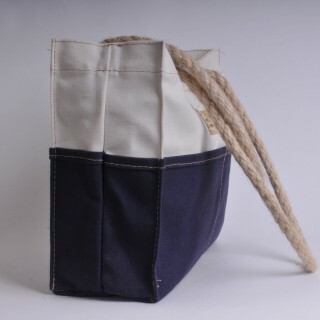 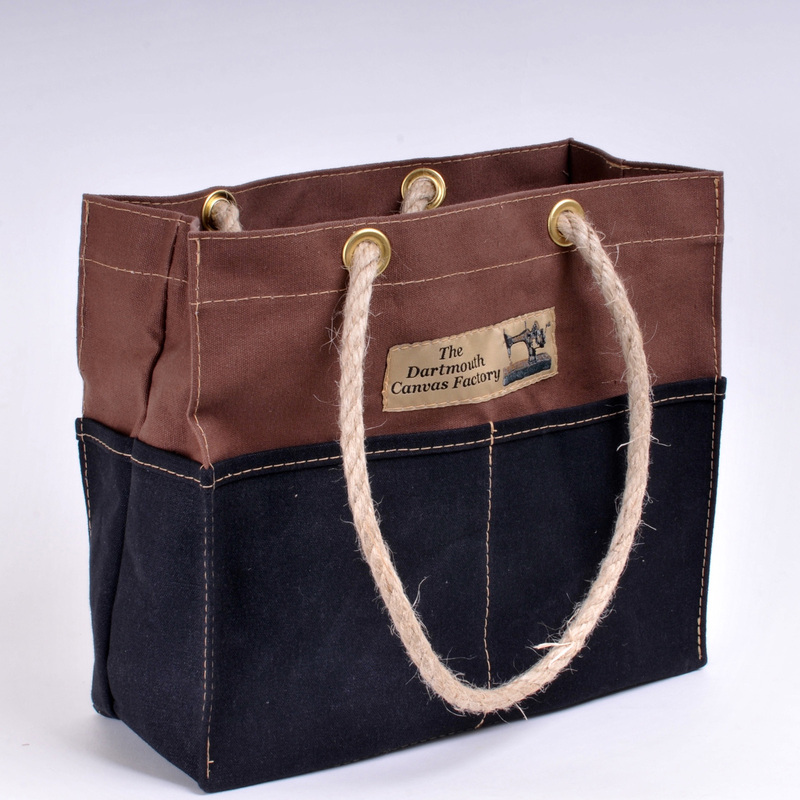 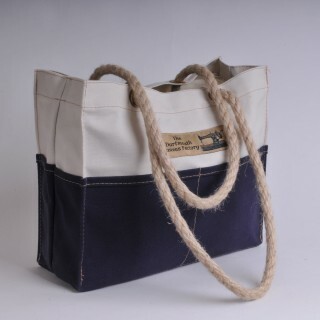 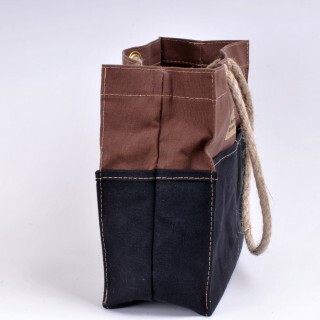 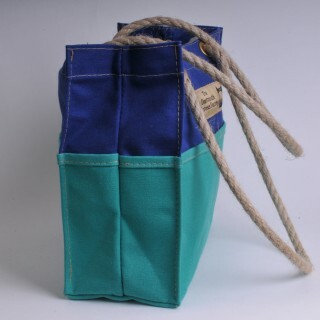 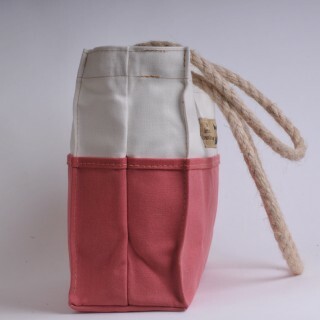 This bag is made in the 14 oz cotton canvas with a double thickness of canvas forming the base and the side pockets. 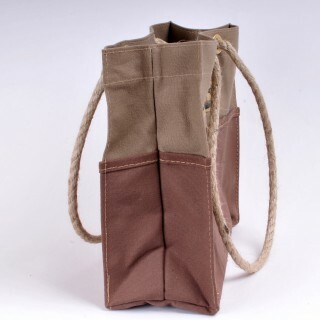 With two wide pockets to the front and the same to the back, together with two slimline pockets at each end, these bags make very useful toolbags or gardening bags. 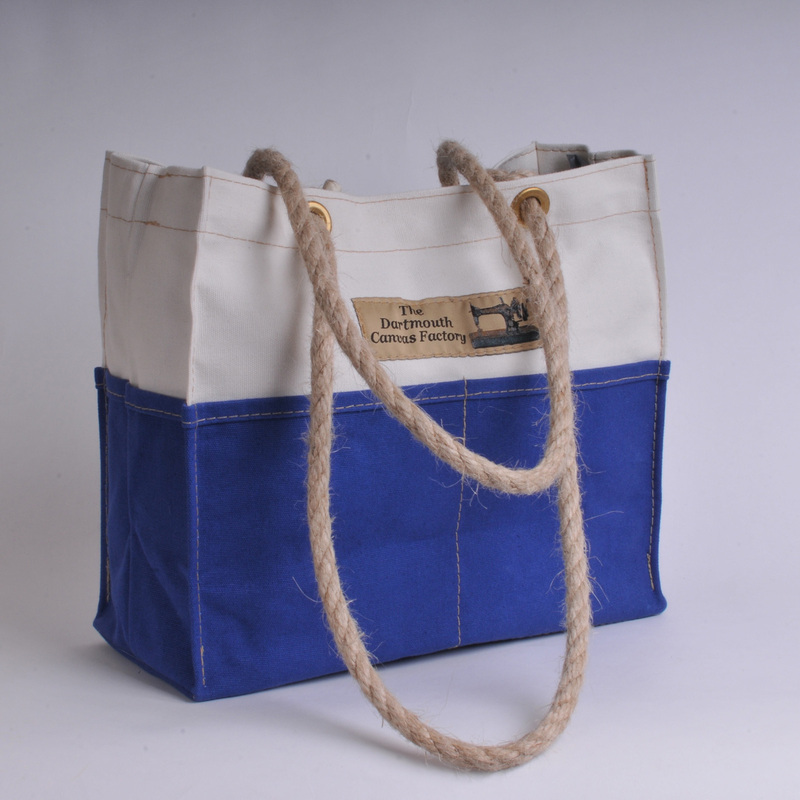 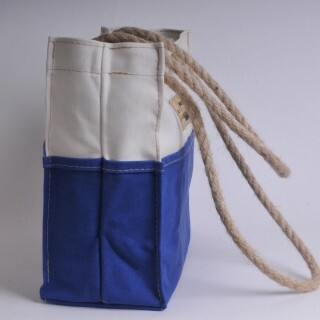 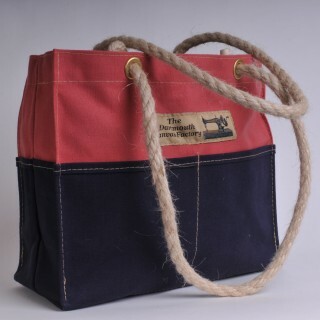 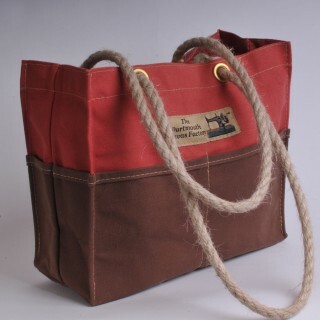 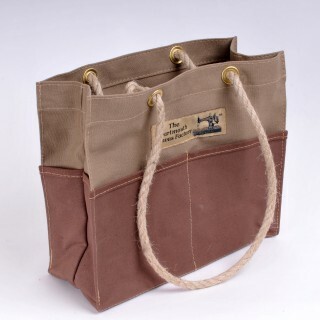 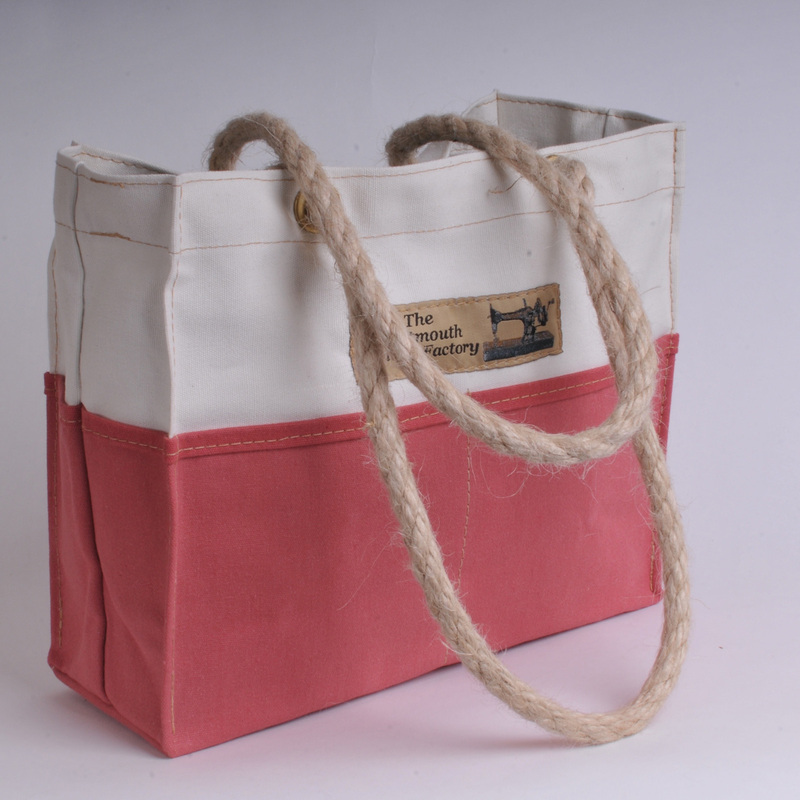 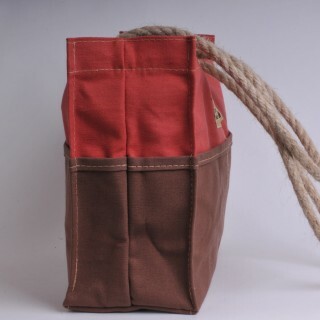 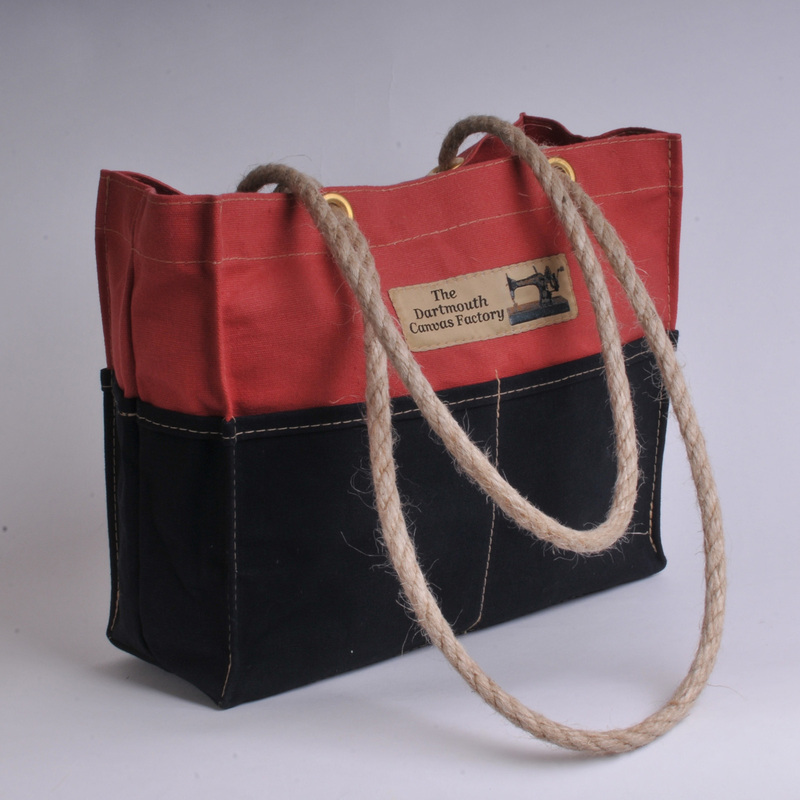 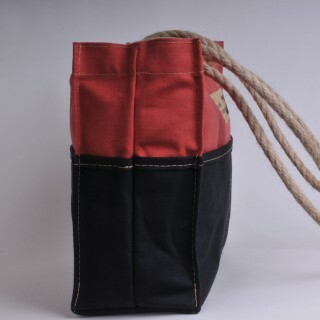 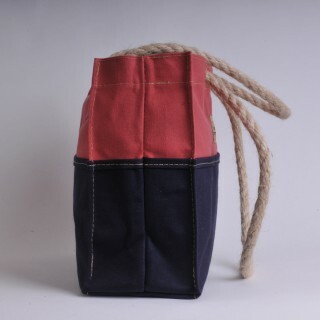 The long, natural jute rope handles allow this to be carried on the shoulder making it very popular as a shoulder bag. 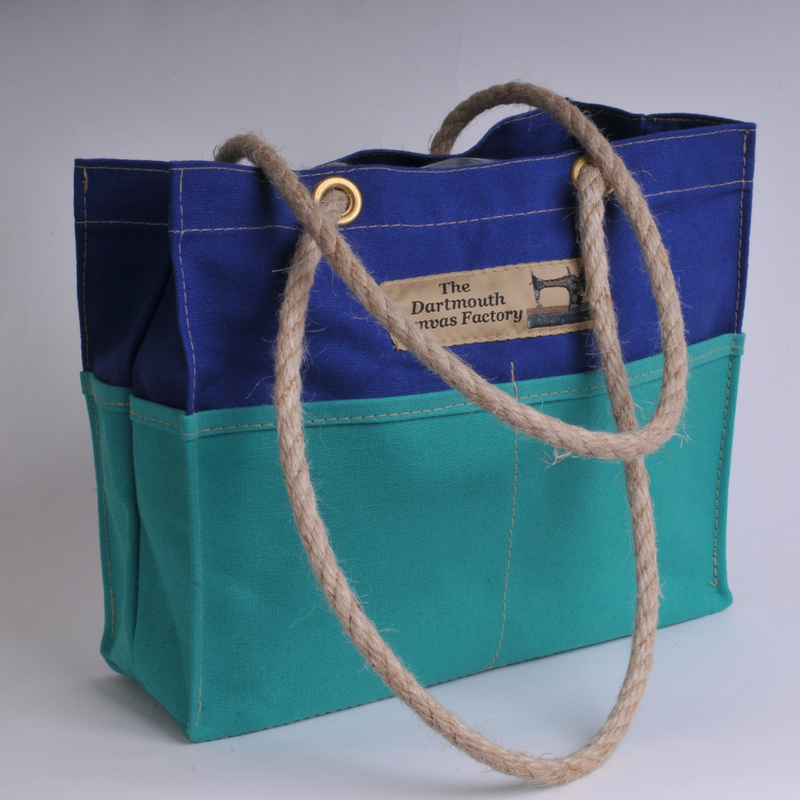 The tool bag is made in a wide choice of two colourways as shown below.